Glance through the glass windows that front Huntington village’s newest shop, Industry, and try to fight back the urge to go inside and see more. 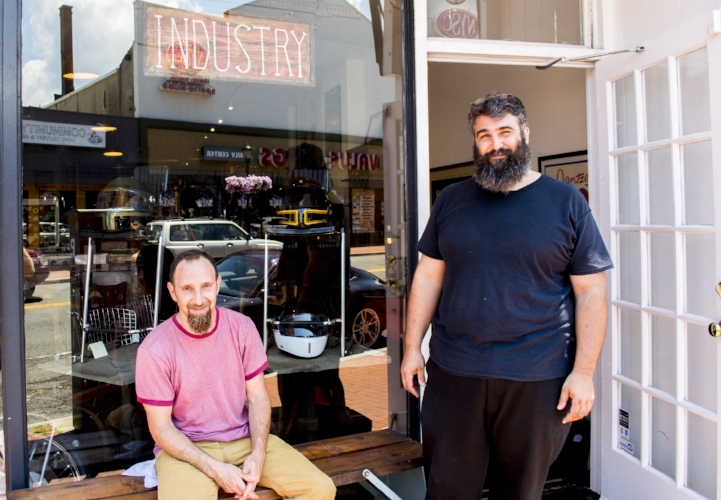 That allure, along with constant foot traffic, make Industry and its 344 New York Ave. storefront a perfect match, said business partners Emmanuel Cris and Michael Hubert. The Huntington residents opened up shop on June 15. Hubert, who previously operated several other antique businesses before opening Industry, said the foot traffic generates constant customer feedback. “You know what we are doing has an effect on people,” Hubert said. Once inside, customers quickly discover a wide range of pieces, from the vast collection of vinyl records to furniture, and everything in between. It’s all a product of what Cris, a published author, described as a “collaborative” effort. Cris and Hubert work with local craftsmen, merchants and dealers to create a “curated space” featuring pieces from multiple sellers. Cris and Hubert said that, rather than focusing on the sale of any particular style of items, shopping at Industry should be an experience. The communal atmosphere at Industry is an important part of the store’s identity and something Cris and Hubert hope to build upon. “It’s like everybody’s living room,” Cris said. Industry’s bright, open back room already serves as a gathering place for merchants to give demonstrations of their products and/or hold classes. Cris and Hubert said the open space also makes Industry an ideal location to host a birthday party or other get together. Cris’ and Hubert’s passion and knowledge of the many pieces that Industry has to offer is what makes shopping at Industry a unique experience. 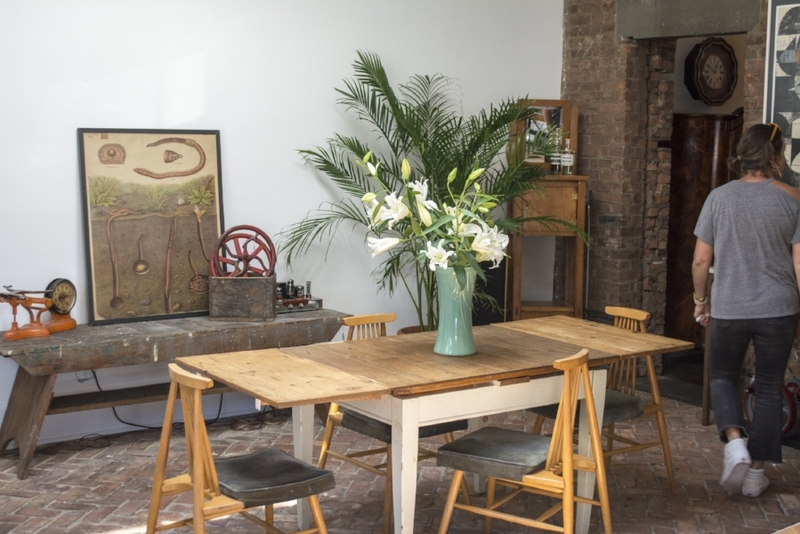 There’s a wide range of pieces available at Industry, from the vast collection of vinyl records to furniture, and everything in between. Some of the vinyl records available at Industry. Industry’s bright, open back room can serve as a gathering place where merchants can give demonstrations of their products and hold instructional classes.